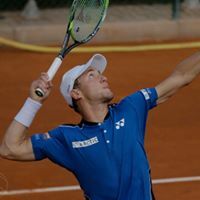 Casper Ruud is only 19 years old but he managed to advance on Monday in the prestigious French Open tennis tournament. “This is huge,” exclaimed his Facebook page, and Norwegian media seemed to agree. Norwegian Broadcasting (NRK) wrote that the young man representing the Snarøya Tennis Club located just west of Oslo almost seemed to be losing against Australia’s Jordan Thompson, who’s ranked 66 places above Ruud. A “heroic” performance nonetheless led to him advance in the Grand Slam tournament. Ruud, making his debut on the Grand Slam circuit after a strong performance at the Australian Open, gave spectators a thrilling match. He began strongly, winning two straight sets. But Thompson fought back in the third set, winning 6-2. The fourth set was even, but the five-year-older Thompson showed som brilliance with the ball and won the set 6-4. A fifth set was needed to determine the winner in Paris. Ruud was thus cleared for another round in Paris, against Albert Ramos-Vinolas, ranked 36th. Ruud was ranked 158th as of May 21st.